When companies and brands take a stand on “issues,” here’s a quick way to weigh the potential implications. In recent years, companies and brands have found it increasingly difficult to navigate the PR waters in a politically polarized environment. On the one hand, companies want to be seen as progressive and inclusive organizations. On the other, there is concern about coming off as too controversial. The environment is about as toxic as it’s ever been. In the “good old days,” companies were able to merrily avoid controversy by supporting universally agreed-upon “benign” causes. But whereas in the 1970s or 1980s, celebrating Christmas or financially supporting the city’s symphony orchestra or fine art gallery was never faulted, today the situation is different. Acknowledging a religious holiday risks criticism about offending non-believers or shortchanging people of other spiritual faiths. And dishing out dollars in support of “high culture” invites barbs about the need to divert those resources to more “socially woke” initiatives and away from “high culture” pursuits that speak to only a small slice of the general public. The recent controversy with Nike and its Colin Kaepernick-inspired “Just Do It” campaign is another case in point. It may be a bit of a coin toss, but the conventional view is that Nike’s campaign was, on balance, a modest victory for the company in that more of the public was favorably disposed to it than put off by it. And after a momentary dip in Nike’s share price, the stock recovered and ended up higher. Less successful was Target’s move to direct its employees to forego wishing customers “Merry Christmas,” and instead use the more generic “Happy Holidays” greeting. Target decided to be “out front” with this issue compared to competitors like Wal-Mart. But after several years of gamely attempting to enforce this guideline in the wake of negative customer reaction and a barrage of bad press on the talk shows, Target finally relented, quietly reverting to the traditional Xmas greeting. Simply put, in the current cultural environment there are more risk-and-reward issues for brands than ever — and what actually happens as a result is often unpredictable. And yet … surveys show that many consumers want brands to take overt stands on hot-button issues of the day. 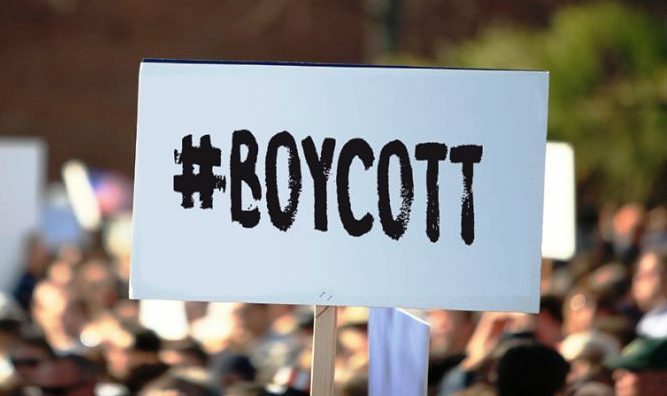 Sometimes brands are just as criticized for not taking a stand on those very same hot-button issues — such as whether to adopt gun-free zones in office and retail spaces or deciding what kind of gun-related merchandise will be prohibited from being sold in their stores. To deal with this increasingly gnarly challenge, recently the marketing technology company 4C Insights developed a “decision tree” exercise that’s elegantly simple. It’s a great “back of the napkin” way for a company to weigh the potential upside and downside factors of taking a stand on a socio-political issue that could potentially impact product sales, corporate reputation, or the company’s share price. 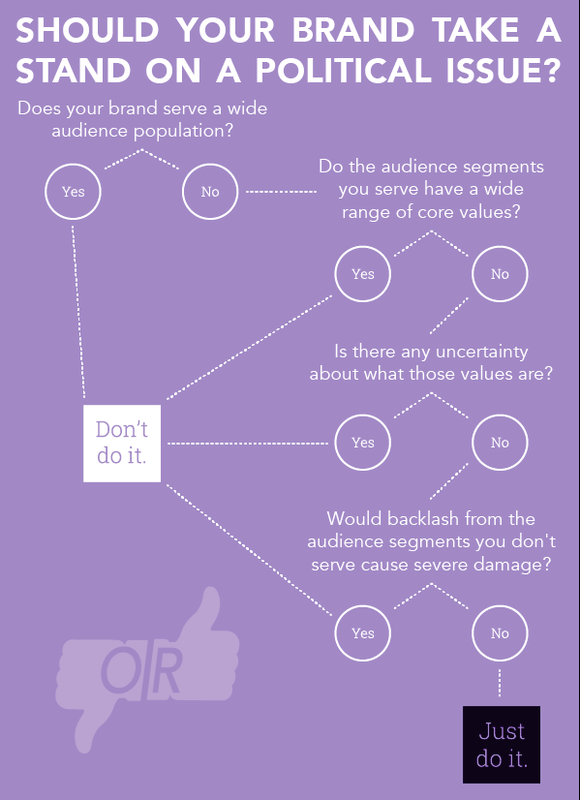 To my mind, the 4C Insights decision tree can be applied equally well to weighing a potentially controversial social or cultural issue in addition to a political one. Indeed, it should be a ready-reference for any PR and marketing professional to pull out whenever issues of this kind come up for discussion. In this environment, my guess is that it would be referenced quite frequently. What’s happened to influencer marketing? Over the past five years or so, one of the key tactics of branding has been convincing “market influencers” to promote products and services through endorsements rather than relying on traditional advertising. Not only does “influencer marketing” save on paid advertising costs, presumably the brand promotion appears more “genuine” to consumers of the information. At least that’s how it’s supposed to work according to the textbook theory. But let’s dissect this a bit. Some of the earliest forms of “influencer marketing” were the so-called “mommy bloggers” who were stars of the social media world not so long ago. The blogs run by these people were viewed as authentic portrayals of motherhood with all of its attendant joys and stresses. 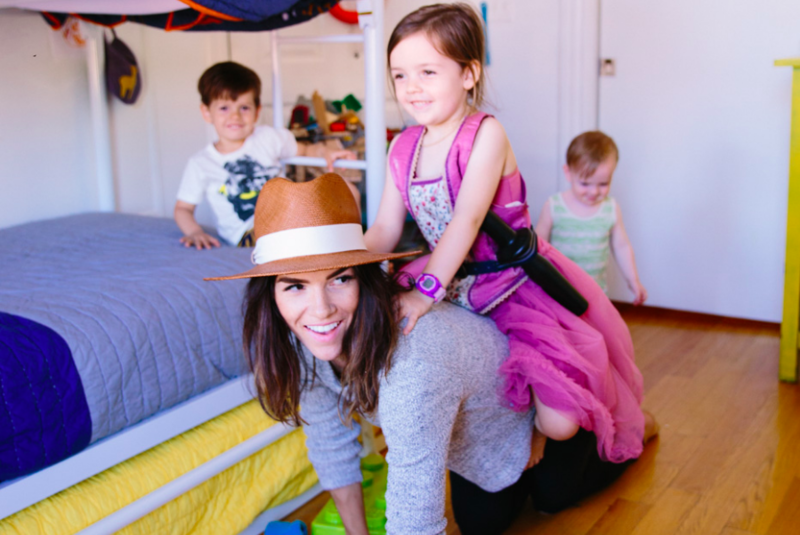 Mommy blogs like Heather Armstrong’s Dooce.com, Jenny Lawson’s The Bloggess and Glennon Doyle’s Momastery once held sway with stratospheric monthly traffic exceeding the million page level. But once that volume of engagement happened, it didn’t take long for many bloggers to begin to command big dollars in exchange for product mentions and brand endorsements. Various meetings and workshops were organized featuring these bloggers and other stars of the social media world – moms, style gurus, interior decorators, fashionistas and the like – providing a forum for consumer product and service companies to interact with these social movers-and-shakers and pitch their products in hopes of positive mentions. Eager to jump on the bandwagon of this phenomenon, several years ago I recall one of my corporate clients attending their first conference of bloggers — in this case ones who specialize in home décor and remodeling topics. To put it mildly, our client team was shocked at the “bazaar-like” atmosphere they encountered, with bloggers thrusting tariff schedules in front of their faces listing prices for getting brand and product mentions based on varying levels of “attention” – photos, headline story treatment and the like. Even more eyebrow-raising were the price tags attached to these purportedly “authentic” endorsements – often running into the thousands of dollars. Quite the gravy train, it turns out. It would be nice to report that when the bubble burst on these types of blogs, it was because their readers wised up to what was actually happening. But the reality is a little less “momentous.” Simply put, blogging on the whole has stagnated as audiences have moved to other platforms. The rise of “mobile-everything” means that consumers are spending less time and attention on reading long-form blog posts. Instead, they’re interacting more with photos and related short, pithy descriptions. Along with that shift, product endorsements have reverted back to something more akin to what it was like before the time of social media – product promotion that feels like product promotion. 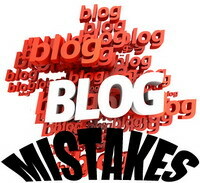 Many consumers see through it all … and it seems as though they’ve come to terms with the bloggers and their shtick. With a wink and a nudge, most everyone now recognizes that bloggers are “on the take.” It’s a job – just as surely as the rest of us have our 8-to-5 jobs. So where does this put influencer marketing today? It’s out there. It still has resonance. But people know the score, and few are being fooled any longer. It’s certainly food for thought for marketers who are thinking that they can use influencer marketing to replace advertising. They still can … sort of. 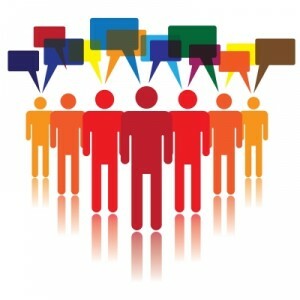 Brand PR in the era of social media: Much ado about … what? These days, brands often get caught up in a social media whirlwind whenever they might stumble. Whatever fallout there is can be magnified exponentially thanks to the reach of social platforms like Twitter, Facebook and Instagram. 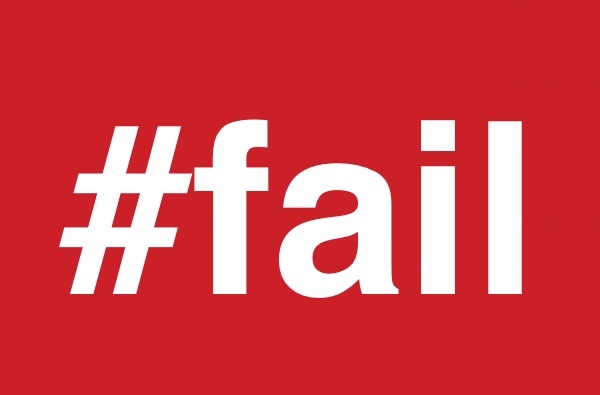 When a “brand fail” becomes a topic of conversation in the media echo chamber, it can seem almost as though the wheels are coming off completely. But is that really the case? Consider the past few weeks, during which time two airlines (United and American) and one consumer product (Pepsi) have come under fire in the social media sphere (and in other media as well) for alleged bad behavior. In the case of United and American, it’s about the manhandling of air travelers and whether air carriers are contributing to the stress – and the potential dangers – of flying. In the case of Pepsi, it’s about airing an allegedly controversial ad featuring Kendall Jenner at a nondescript urban protest, and whether the ad trivializes the virtues of protest movements in cities and on college campuses. What exactly have we seen in these cases? There’s been the predictable flurry of activity on social media, communicating strong opinions and even outrage. United Airlines was mentioned nearly 3 million times on Twitter, Facebook and Instagram just on April 10th and 11th. Reaction on social media over the Pepsi ad was similarly damning, if not at the same level of activity. And now the outrage has started for American Airlines over the “strollergate” incident this past weekend. But when you consider what the purpose of a brand actually is – to sell products and services to customers – what’s really happening to brand reputation? A good proxy is the share price of the brands in question. United Airlines’ share price took a major hit the week the “draggergate” news and cellphone videos were broadcast, but it’s been climbing back ever since. Today, United’s share price looks nearly the same as before the passenger incident came to light. In the case of Pepsi, company shares are up more than 7% so far in 2017, making it a notably robust performer in the market. Moreover, a recent Morning Consult poll found that over 50% of the survey respondents had a more favorable opinion of the Pepsi brand as a result of the Kendall Jenner commercial. That is correct: The Pepsi commercial was viewed positively by far more people than the ones who complained (loudly) about it on social media. What these developments show is that while a PR crisis isn’t a good thing for a brand’s reputation, social fervor doesn’t necessarily equate with brand desertion or other negative changes in consumer behavior. Instead, it seems that the kind of “brand fails” causing the most lasting damage are ones that strike at the heart of consumers’ own individual self-interest. Chipotle is a good example, wherein the fundamental fear of getting sick from eating Chipotle’s food has kept many people away from the chain restaurant’s stores for more than a year now. One can certainly understand how fears about being dragged off of airplanes might influence a decision to select some other air carrier besides United – although it’s equally easy to understand how price-shopping in an elastic market like air travel could actually result in more people flying United rather than less, if the airline adjusts its fares to be more the more economical choice. My sense is, that’s happening already. And in the case of Pepsi, the Jenner ad is the biggest nothing-burger to come down the pike in a good while. The outrage squad is likely made up of people who didn’t drink Pepsi products to begin with. Still, as an open forum, social media is important for brands to embrace to speak directly to customers, as well as to learn more about what consumers want and need through their social likes, dislikes and desires. But the notion of #BrandFails? As often as not, it’s #MuchAdoAboutNothing. These days, there are more ways than ever to publicize a product or service so as to increase its popularity and its sales. And yet … the type of thing most likely to convince someone to try a new product – or to change a brand – is a reference or endorsement from someone they know and trust. Omnichannel marketing promotions firm YA conducted research in 2016 with ~1,000 American adults (age 18+) that quantifies what many have long suspected: ~85% of respondents reported that they are more likely to purchase a product or service if it is recommended by someone they know. A similarly high percentage — 76% — reported that an endorsement from such a person would cause them to choose one brand over another. Most important of all, ~38% of respondents reported that when researching product or services, a referral from a friend is the source of information they trust the most. No other source comes close. This means that online reviews, news reports and advertising – all of which have some impact – aren’t nearly as important as the opinions of friends, colleagues or family members. … Even if those friends aren’t experts in the topic! It boils down to this: The level of trust between people has a greater bearing on purchase decisions because consumers value the opinion of people they know. Likewise, the survey respondents exhibited a willingness to make referrals of products and services, with more than 90% reporting that they give referrals when they like a product. But a far lower percentage — ~22% — have actually participated in formal refer-a-friend programs. This seems like it could be an opportunity for brands to create dedicated referral programs, wherein those who participate are rewarded for their involvement. The key here is harnessing the referrers as “troops” in the campaign, so as to attract a larger share of referral business and where the opportunities are strongest — and tracking the results carefully, of course. What’s the Latest in Content Creation for B-to-B Marketers? There’s an interesting new study just published that gives us interesting clues about what B-to-B marketers are doing in content creation. The B2B Content Marketing: 2012 Benchmarks, Budgets & Trends study is a joint research effort of the Content Marketing Institute and marketing information resources firm MarketingProfs. The survey found that nine out of ten B-to-B marketers are using some form of content marketing activities to achieve their business goals. And what is the biggest challenge these marketers see in content creation? It’s the age-old problem of coming up with interesting topics to write about. More than four in ten respondents cited “producing the kind of content that engages prospects and customers” as their biggest challenge. What about your situation? Are your content management issues the same ones as reported in this study … or are you facing different challenges? Time was, we could get a chuckle out of television commercials where unsuspecting consumers were surprised to find out that the restaurant coffee was really Folgers®, or the day spa’s skin moisturizer treatment for their hands was actually Palmolive® dish detergent. There was something rather endearing about those consumer reactions – and they were uniformly positive ones as well. But to show how far removed we are from those halcyon days, consider this recent attempt to pull a fast one on unsuspecting dinner guests at a “faux” restaurant in Midtown Manhattan: Cooked up by the Ketchum public relations unit of Omnicom Group for its client, ConAgra Foods, New York-based food bloggers and “mommy” bloggers were invited to dine at “Sotto Terra,” an underground restaurant supposedly run by Chef George Duran of TLC’s Ultimate Cake Off cable program. But Sotto Terra, far from being the “intimate Italian restaurant” of the invitation, was nothing more than an elaborate set-up – hidden cameras and all – to get bloggers to sample ConAgra’s newest offerings in the Marie Callender’s line of frozen entrees and desserts … and presumably to extol the virtues of the cuisine. In fact, no such restaurant even exists. Rather, it was all a staged scene in a Greenwich Village brownstone. The invitation promised a “delicious four-course meal” accompanied by Chef Duran’s “one-of-a-kind sangria” … along with a talk by famed food industry expert Phil Lempert on new taste trends in food. The invitation also promised a “special surprise” for those who attended the dinner on one of five evenings. The special surprise, of course, was revealing the actual provenance of the food items being served. “The twist at the end was not dissimilar to what brands like Pizza Hut and Domino’s have done in the recent past, with success,” noted Stephanie Moritz, a public relations flack at ConAgra. The plan was to use the video footage captured at the dinners for promotional clips on ConAgra’s website and on YouTube … as well as for the bloggers who attended to generate cyber-buzz about being pleasantly surprised at the revelation. But this is 2011, not 1981 or 1991. And bloggers are also quite different from the average consumer. Ketchum and ConAgra apparently forgot about the “90-9-1 rule” of online content: 1% create content … 9% comment on that content … and 90% simply lurk. I loved reading the PR personnel’s “spin” of the events the way they transpired: “Once we sensed it was not meeting attendees’ expectations, that’s where we stopped, we listened and we adjusted,” Stephanie Moritz remarked. … By which she means the remaining dinner evenings were canceled. Looking back is 20/20 hindsight, of course. But it does seem like most PR professionals could have seen this negative reaction coming from a mile away. PR agencies exist to provide not only publicity for their clients, but also counsel. Sure, the event sounds like a fun lark with a bit of a twist – and I can just picture the breathlessly animated PR brainstorming session at Ketchum that produced this idea. But is duping bloggers and making them out to be fools the correct tactic? … Especially considering that their megaphone, augmented by the viral nature of social media, is much more effective and far-reaching than ConAgra’s corporate website ever could hope to be.